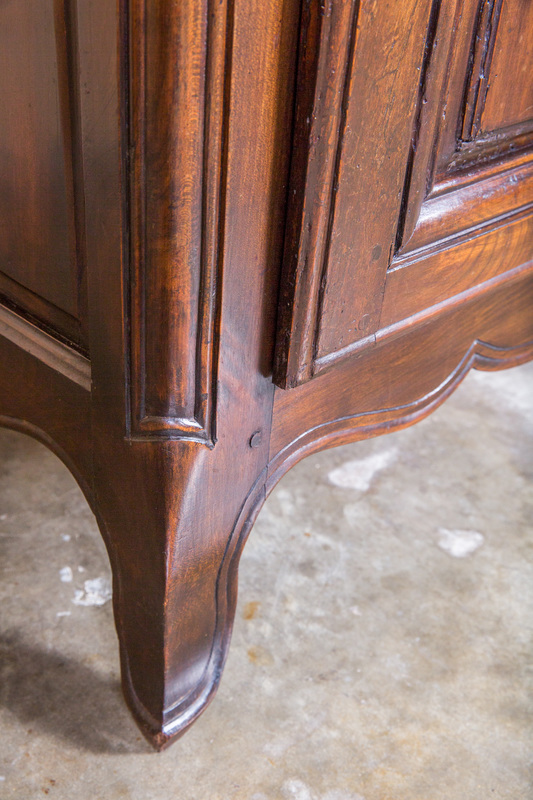 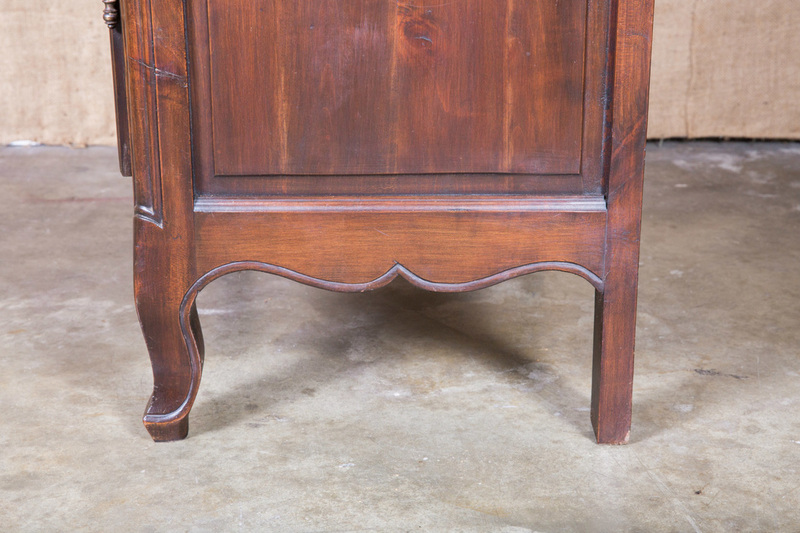 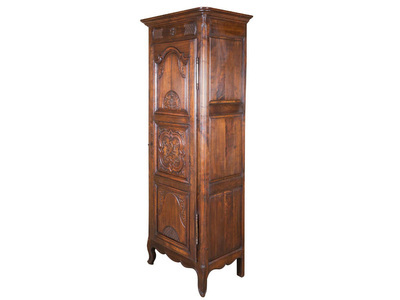 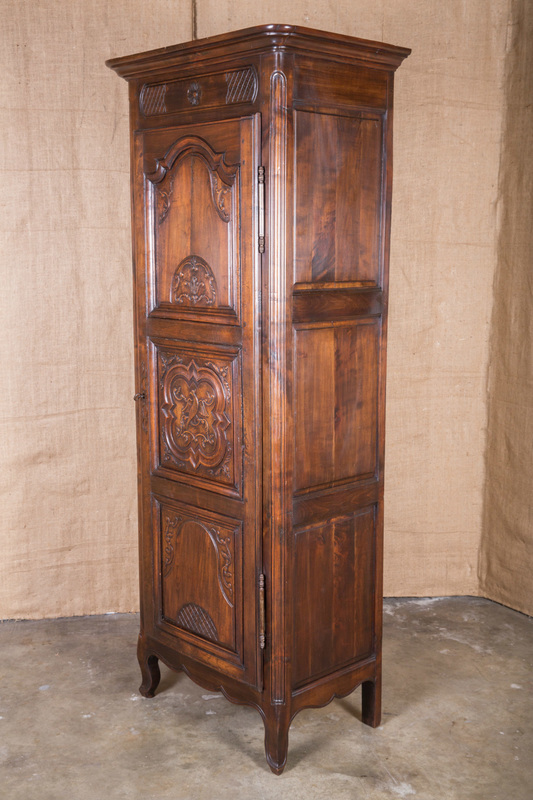 ﻿﻿﻿﻿Charming Country French Louis XV style bonnetiere handcrafted of walnut by skilled artisans from the Brittany region. 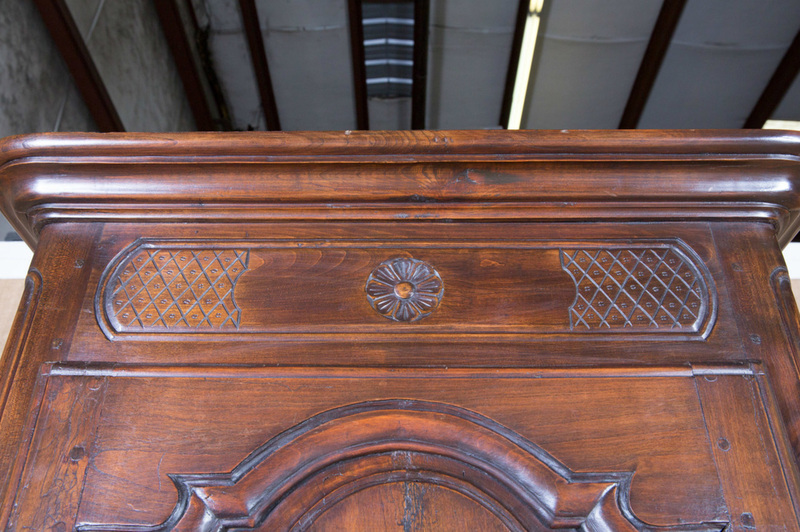 Stepped cornice above frieze with crosshatch pattern and relief carved center floret. 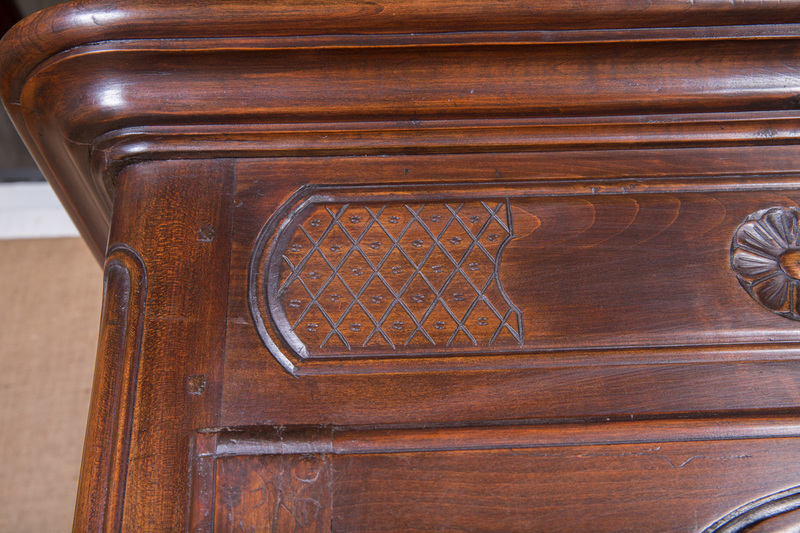 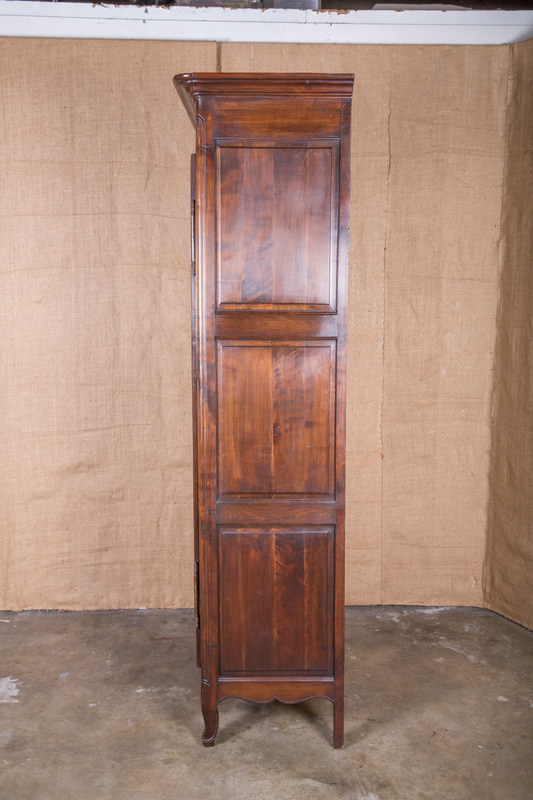 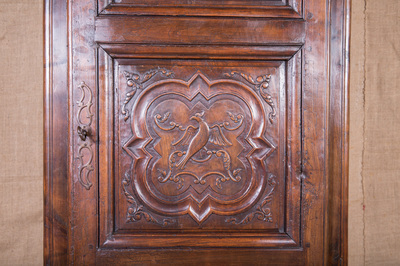 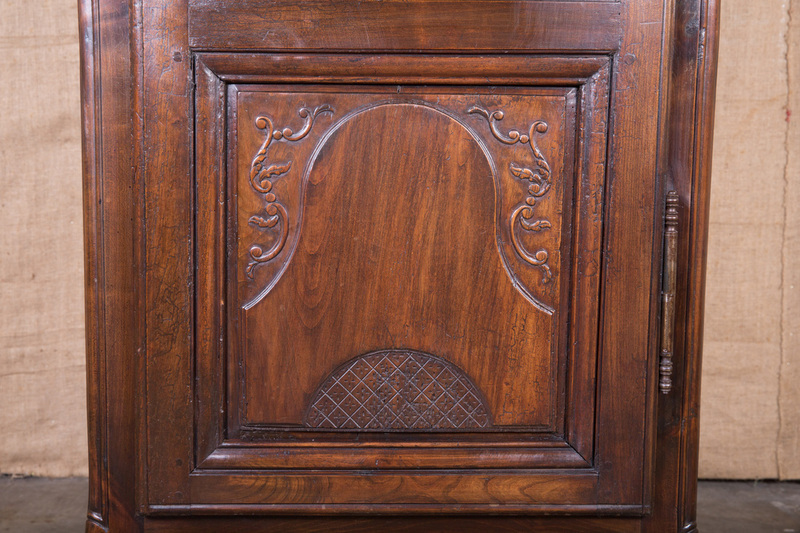 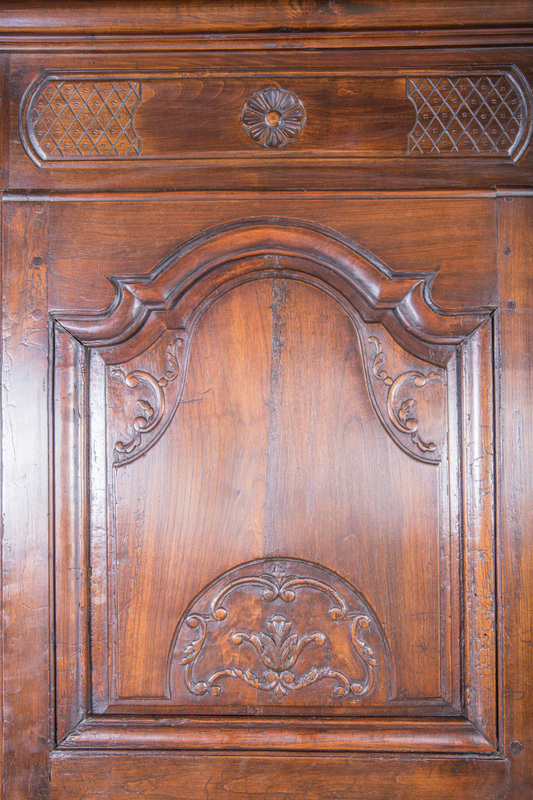 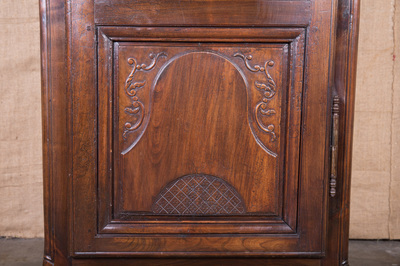 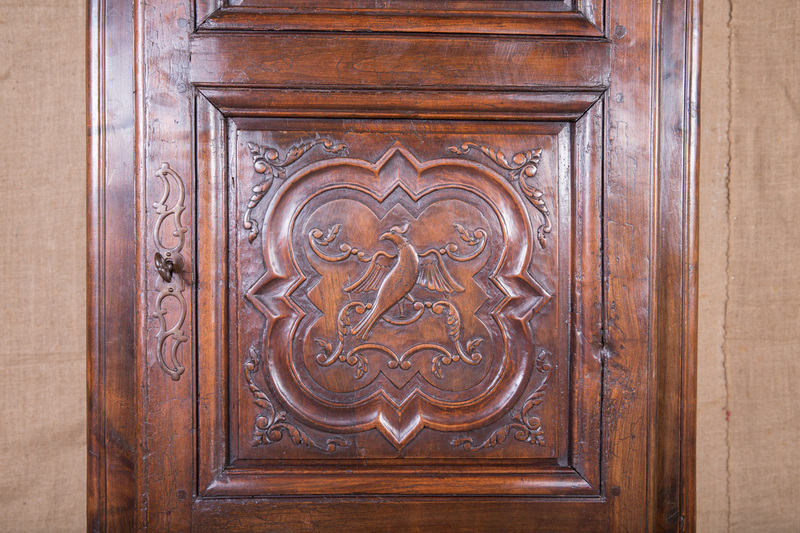 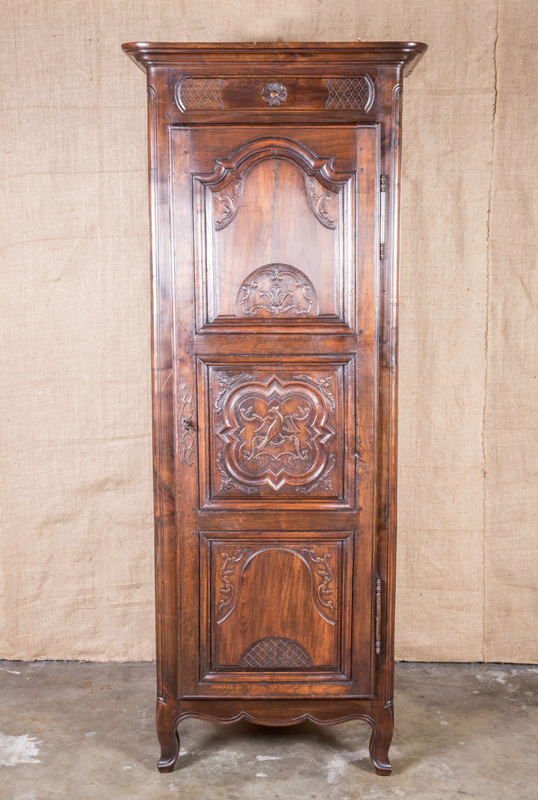 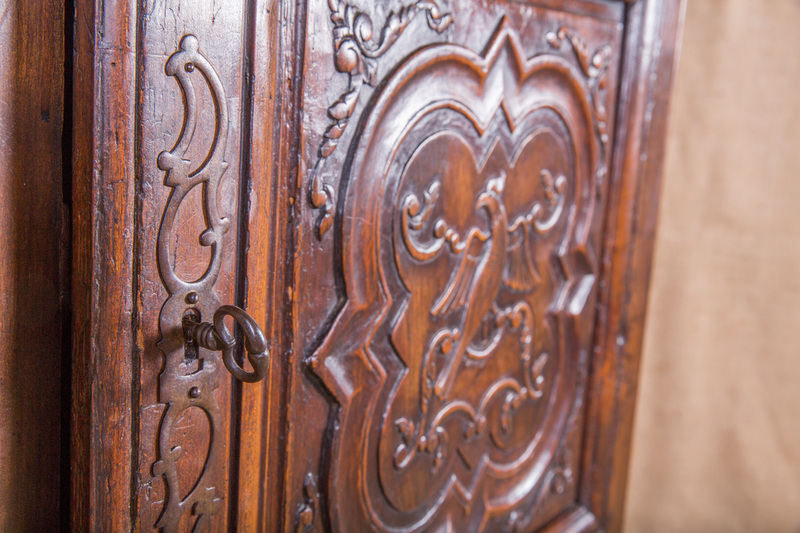 Single door features three carved panels with center panel having phoenix, quatrefoil and foliage carvings. Opens to reveal three interior shelves. 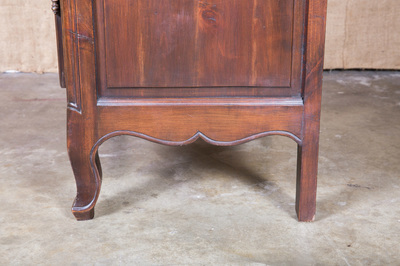 Raised on pieds de biche. French bonnetieres were originally designed to store the elaborate, high bonnets worn by ladies in the Normandy and Brittany regions during the 17th and 18th centuries. 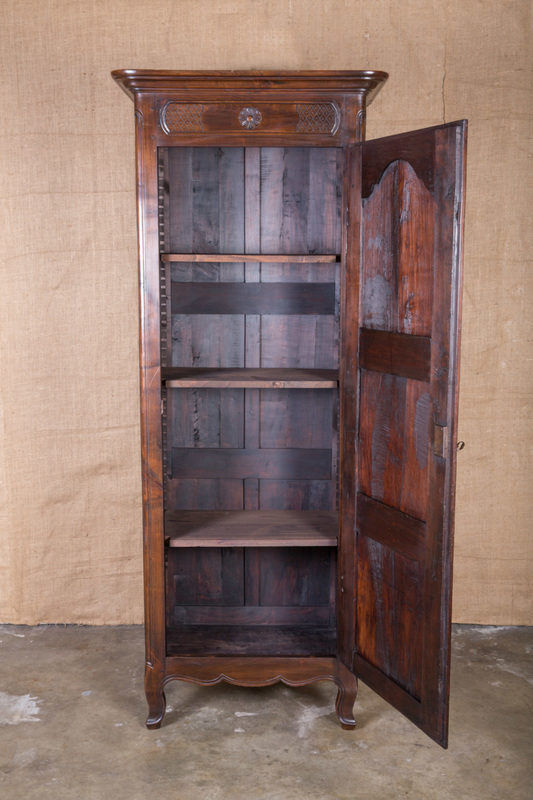 Today they can be used in any room to store just about anything — from linens in a powder room to sweaters in a bedroom or toys in a playroom. They can also be fitted for refrigeration or for wine storage.